The 79th annual Wyndham Championship just got a lot greener, thanks to a new partnership with Greensboro-based Unifi, Inc. (NYSE: UFI). The global textile manufacturer, which makes its REPREVE® performance fiber from recycled materials, including plastic bottles, is excited to announce it has signed a multi-year agreement to become an official recycling partner of the PGA TOUR event contested annually at Greensboro's Sedgefield Country Club. It is estimated that tens of thousands of plastic bottles will be recycled through this partnership. "We are proud to partner with the Wyndham Championship to help continue keeping plastic bottles out of the landfill and help to further conserve natural resources in the making of REPREVE recycled fibers," said Unifi CEO Kevin Hall. "What if every one of the 80,000 – 100,000 people who typically attend the Wyndham Championship recycled their water bottle instead of throwing it away? The positive impact that would have on our local environment would be terrific." "This new partnership with Unifi is fantastic news for the Wyndham Championship and our environment," Wyndham Championship tournament director Mark Brazil said. "Environmental sustainability is a key part of our 'Wyndham Championship Fore! Good' initiative, a platform that also focuses on charitable giving and community development. We are eager to adopt innovative sustainable practices and recycling the plastic bottles used during our PGA TOUR event to turn them into REPREVE performance fiber, and that is about as innovative as it gets. Partnering with Unifi in this manner is a significant enhancement of our existing recycling efforts." This year's tournament will be held Aug. 13-19, 2018, where tournament patrons will be encouraged to look for and use the REPREVE recycling receptacles that will be conveniently positioned around the course and in the REPREVE Recycle Zone. REPREVE'S Mobile Tour will be on-site the entire week of the tournament. Through this interactive experience, Wyndham Championship patrons will learn how the bottles they choose to recycle are transformed into sustainable performance fibers. They will also have the opportunity to see and touch products made with REPREVE from global brands they know and love, and to win daily giveaways featuring items made with REPREVE, including two Sunbrella golf bags. "The recycling rate for plastic bottles in the U.S. is low – about 28%," Hall said. "Through this partnership, we're able to divert thousands of bottles from the landfill and show tournament patrons some of the innovative things we can do with them. Our goal is to inspire people to recycle more, buy recycled and join in our efforts to help protect our natural resources. We are excited to partner with the Wyndham Championship to help educate golf fans and to work together to create a better tomorrow." 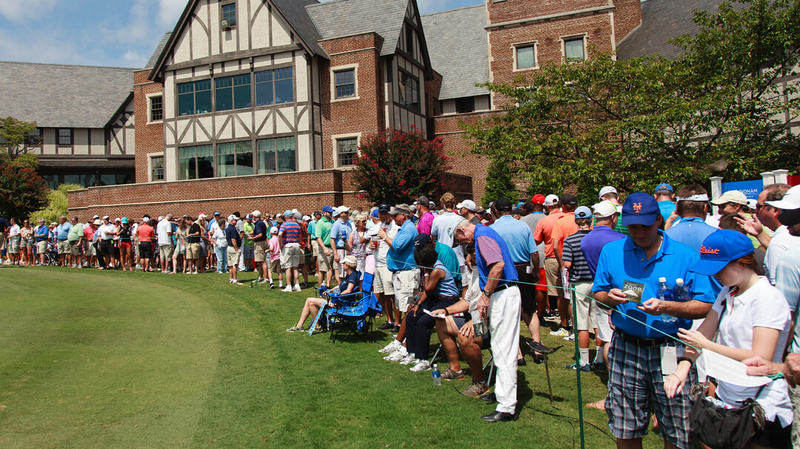 Learn more about Unifi's partnership with the Wyndham Championship.